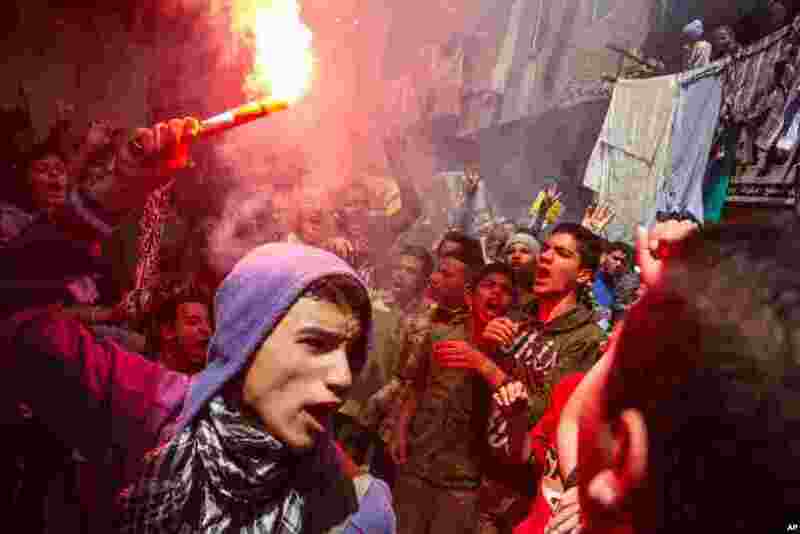 1 An Egyptian youth carries a lit flare as supporters of the Muslim Brotherhood gather in the El-Mataria neighborhood of Cairo, to protest the 20-year sentence for ousted president Mohammed Morsi and verdicts against other prominent figures of the Brotherhood. 2 A view of the Calbuco volcano in Puerto Varas, Chile. 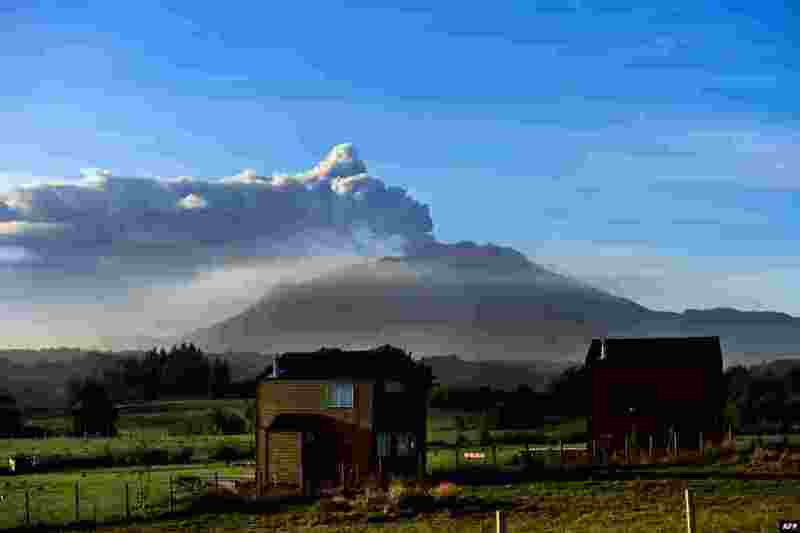 Southern Chile remained on alert Friday for another eruption from the volcano after it burst into life this week in spectacular, fiery fashion for the first time in half a century, forcing 5,000 people to evacuate and lighting up the night sky. 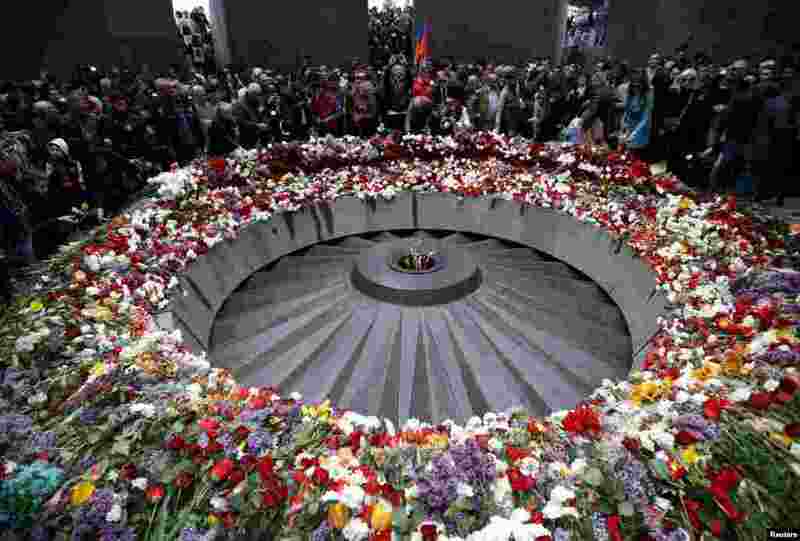 3 People attend a commemoration ceremony to mark the centenary of the mass killing of Armenians by Ottoman Turks at the Tsitsernakaberd Memorial Complex in Yerevan, Armenia. 4 A girl drinks water from a faucet amid an acute shortage of clean drinking water in Sanaa, Yemen.